Spring is here (at least officially), I had one journal and three conference papers accepted, and our lovely friends SP have visited us. So, all in all, the month is ending on a high note. And if it is true that 50% of my sabbatical is now gone :-(, it is also the case that I still have 50% to look forward to :-). The glass is half full! 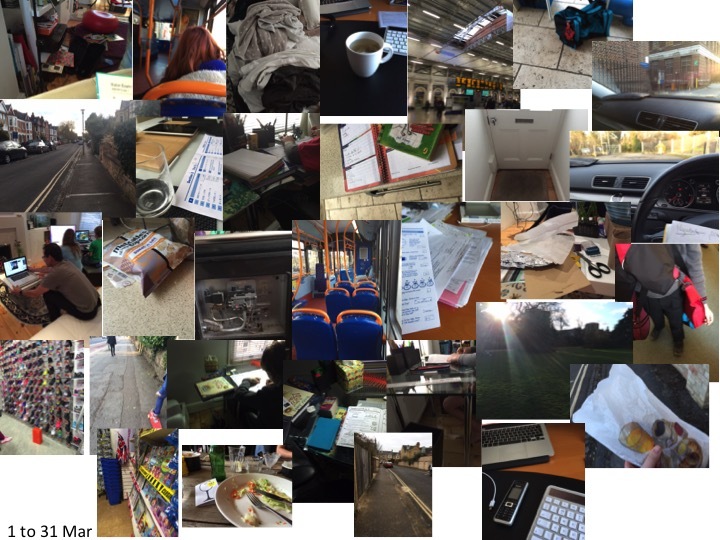 Looking through the photographs from my 5pm project, I realise that I seem to be indoors a lot, at that time of the day, often supervising homework. I wonder if this pattern will change now that the weather is (meant to be) getting warmer. As for this month’s highlights, they are summarised below, as usual. I spent some time thinking about algorithmic decision-making based on social media activity. Algorithmic decision-making refers to the singling out of a customer or user for an offer, or extra monitoring, or even a penalty, because they have been picked up by an automated system that monitors patterns of behaviour (for instance, transactions). It is the typical ‘because the computer said so’ scenario. Algorithmic decision-making (namely, how algorithms are developed and applied) was the topic of my PhD at the London School of Economics, which looked at customer profiling and screening in financial services. I also spent a lot of time looking at possible sources of funding for research projects, which is a very, very time consuming (and frustrating) activity. In the first week of the month, I worked on a paper on the use of Social Media in the B2B sector. The deadline was March 8th but, even though I tried really hard to ‘make it happen’, I was unable to finish it on time. I was very disappointed, but it does happen. And, of course, there will be more opportunities for this paper. On the other hand, the paper that I worked on with Yuvraj Padmanabhan, on the use of Twitter data for sentiment analysis, has been accepted for publication. Yay. Also, the book The Private Security State? was published, and I had three papers accepted for a conference. So, not a bad month at all. No teaching this month. Instead, I have been thinking and reading a lot about teaching, from how to make a class more dynamic, to helping students monitor their understanding of a subject (see the header ‘Learning’). 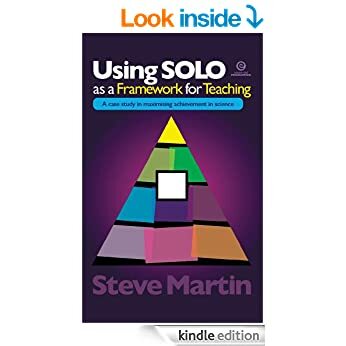 I came across the SOLO framework, which distinguishes different types (and levels) of understanding of a topic, and then I read this book (affiliate link) outlining how to apply the framework to structure teaching and assessment. The book suggests that teachers should create checklists for each topic that they teach, with examples of the application of the topic at the various levels of understanding, from defining the concept, to using it to explain an observation and, at the highest level, to predict what will happen in a particular scenario. I liked this framework because it makes it explicit that there are different levels of sophistication in the understanding and use of any given topic. I think that incorporating this framework in my course materials would be very difficult to achieve in the time that I have to prepare a module, but wouldbe really valuable for my students, particularly those who are not familiar with the UK educational system and/or who do not have a background in social sciences. I also made some progress with Python, and I am now learning about strings. My goal is to build a crawler, to collect online data for my research. And last but not least, the eclipse gave us all (at home) the perfect excuse to learn about the solar system. What were March’s highlights for you? 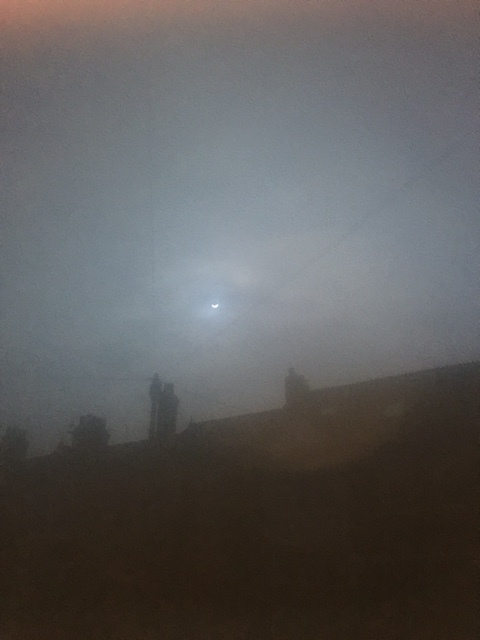 Posted on April 1, 2015 April 1, 2015 by anacanhotoPosted in PersonalTagged 5pm project, AcWri, algorithms, CPD, Decision Making, Eclipse, PhD, Private Security State, Publications, Python, Round-up, SOLO, Teaching. Always good to read your round-up post, Ana. You get so much done in a month, it’s inspiring. For me, March was interesting as well. It started with a visit from my favorite MOOC professor to Düsseldorf. I got to spend a great day with Michael Goldberg, talking about startups and building entrepreneurial ecosystems in different events, one of which I moderated. Intriguing – I took a look at the website but couldn’t find an ‘about’ page, only the newsletter. I am looking forward to hearing your good news, at the end of the month, then! Ah, no, I only linked the newsletter here. The website is at impactioneers.com. It’s rather minimal. I intend to give most information in Medium publications and the newsletter. So, I’m going to try and go without a blog on the site. Just some basic info. It’s a bit of an experiment. Wow. Gathering no moss… Congratulations! Ana, I’m also learning Python…mostly to better understand one of the languages used to process and analyse big data. It’s going well. How do you have time, Kemi??? I really admire your energy! As for conference papers, they don’t count as publications (at least, not in our field). I see conferences as a milestone in the development of a paper that I later will submit to a journal (gives me a deadline to work to, plus you get feedback to help you develop your idea). But attending conferences is expensive and time consuming, so you should choose them wisely and not spread yourself too thin.